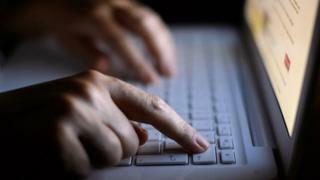 A 15-year-old British boy has been charged over cyber-attacks on international websites and bomb hoaxes against US airlines, police have said. The boy, from Plymouth, is accused of offences related to service attacks on websites in Europe, North America, Africa and Asia. Charges against him also relate to bomb hoaxes placed with North American airlines via social media, police said. He has been bailed to appear before Plymouth Youth Court. The teenager was charged on Monday after an investigation by officers from Devon and Cornwall Police's Regional Cyber Crime Unit. He has been charged with three offences under Section 3 of the Computer Misuse Act and two offences under Section 51 of the Criminal Law Act, the force said. A police spokesman said the charges are not believed to relate to the cyber-attack on telecoms group TalkTalk in October. The boy, from the Plympton area of the city, has been released on police bail and is expected to appear in court on 18 December.